We really enjoyed our tour with Eric! He was knowledgeable and so interesting. 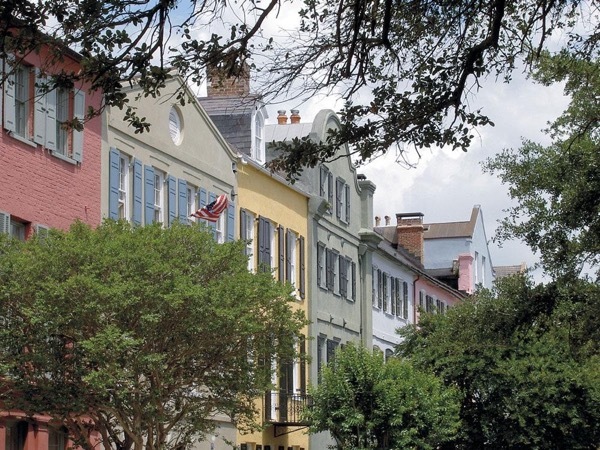 The time passed so quickly and we saw and learned so much about Charleston. He has a great sense of humor and funny antedotes includes in his tour. As a group we had some mobility issues and Eric very flexible and able to adapt our tour to our specific needs. We highly recommend Eric!! Eric L. Treated us to a fantastic adventure. We learned and saw Charleston in a light we otherwise would not have had a clue about. His depth of knowledge and wealth of little known facts kept our attention completely. We will certainly recommend him to anyone we know coming to Charleston. Very insightful view of a magnificent city. My kids really enjoyed the tour. Eric was so much fun! He was instantly part of the family! He is knowledgeable, polite, funny, engaging, accommodating, and quite simply just an awesome guy! I would STRONGLY recommend doing a tour with Eric! He even allowed us to customize our tour! Huge hugs all around! Eric is very knowledgeable and dedicated. Very professional, he was on-time waiting for us and showed us Charleston in a way that everybody in our diverse group was paying attention. Eric was the best. I bought this personal tour for a present to my wife on her birthday. She had never been there and Eric did a wondeful job introducing the city to us.